Picture by Sigiriya special correspondent, Kanchana Ariyadasa. A heavy rush of tourists visiting Sigiriya can be facilitated with the issuing of admission tickets being advanced to begin at 6.30 am from February 15, in response to requests made by tourists themselves. The new visiting hours will be 6.30 am to 5 pm from February 15. 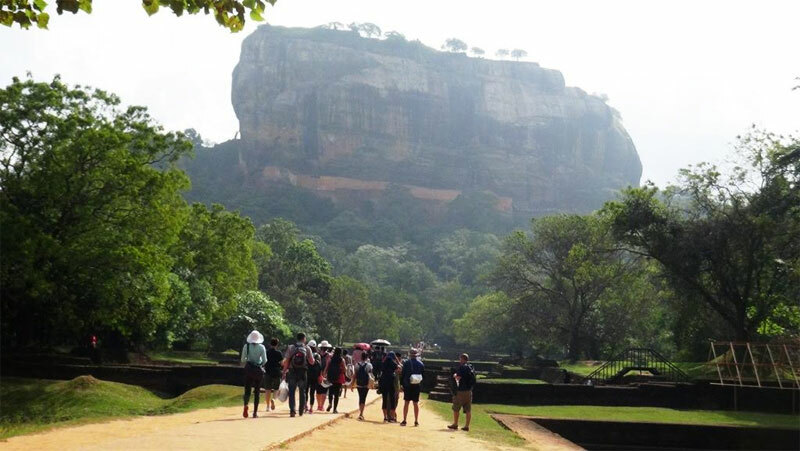 Sigiriya project manager Major Anura Nishantha said they would consider further advancing visiting time to 5 am to enable tourists to view the morning sunrise spectacle from atop the Sigiriya rock after monitoring the situation. A tourist at the admission counter.